Trust in site security is declining, and consumers are scaling back their online transactions-or opting out entirely. Now, online companies are able to clearly demonstrate their identity and security to customers. 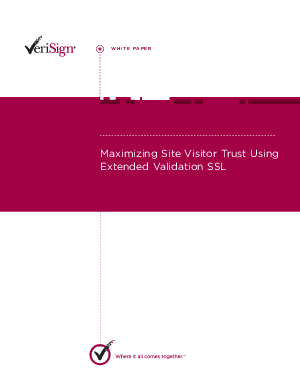 Learn about the EV SSL, the greatest SSL certificate development in the Internet's secure backbone in over ten years. EV SSL can facilitate online commerce in all its forms by increasing visitor confidence in legitimate sites and greatly reducing the effectiveness of phishing attacks.